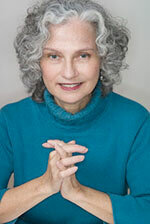 Dr. Sylvia Hammerman has had a private clinical practice in the Boston suburb of Newton, Massachusetts, since 1981. A licensed psychologist, Sylvia works with adults and children in individual, couples, and family therapy. Her clientele is a broadly-based group with a wide variety of goals. Her aim is to help each client find his or her own pathway to growth. Sylvia also provides professional supervision and consultation. Grounded in psychodynamic and family systems theory, Sylvia utilizes a holistic therapeutic approach that integrates a spiritual perspective. While pragmatically attuned to her client's needs, she pays close attention to the mind/body/spirit connection. Sylvia is certified in hypnotherapy, EMDR, and past-life regression therapy, as well as other techniques. Sylvia's therapy is also enhanced by sensitivity to feminist and cross-cultural issues, with a particular specialty in Holocaust survivor families. She has researched and worked with descendants of both survivors and perpetrators, participating in a 15-year international project that focused on these issues and developed innovative approaches to peace building. Her experience has given her a special interest in the dynamics of dialogue as a healing experience, as well as in trauma in its many forms and the ways in which trauma is subtly transmitted through generations. Sylvia has trained other mental health professionals in these areas and was active for many years in Holocaust education in the Boston area. Sylvia received her undergraduate degree in French literature from Connecticut College and her doctorate in Counseling Psychology from Boston University. Dr. David Hammerman is a licensed psychologist, who has had an independent practice in Newton, Massachusetts, a suburb just outside Boston, since 1981. A graduate of the University of Pennsylvania with a major in psychology, he earned his doctorate in Counseling Psychology from Boston University. Originally trained in psychodynamic and family systems therapy, David also integrates a spiritually-oriented perspective in his work. His search for effective, efficient methods has led to learning and applying a wide range of approaches to psychotherapy, including shamanic methods, humanity's oldest healing system. David has had extensive formal training in Western shamanism, including the Three-Year Program in Advanced Initiations in Shamanism and Shamanic Healing at the Foundation for Shamanic Studies. 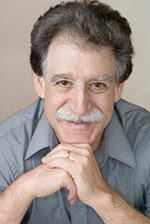 David sees adolescents and adults in individual, couples, and family therapy, using a wide range of experiential approaches, which include past-life regression therapy, hypnotherapy, EMDR, shamanic methods, and other mind-body techniques. In addition to maintaining a private practice, he has given workshops in couples therapy and hypnosis, as well as past-life therapy. David is the co-author of The Complete Idiot's Guide to Reincarnation. He has published articles in The Journal of Regression Therapies, a publication of the International Association for Regression Research and Therapies, and The Journal of Shamanic Practice, a journal of the Society of Shamanic Practitioners (see "Integrating shamanic methods into psychotherapy," Volume 1, 34-38).